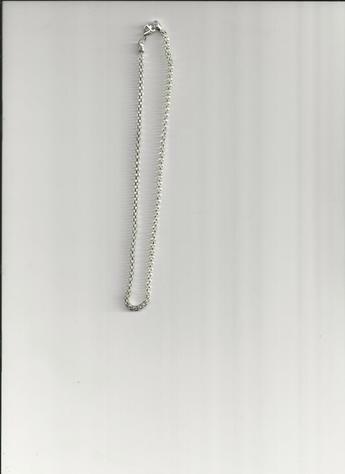 Silver-plated 12-inch Choker Clasp Necklace. LIGHTWEIGHT! Silver-plated 12-inch Choker Clasp necklace is lightweight. FASHIONABLY STYLISH FOR ALL-YEAR ROUND! *FREE SHIPPING WITH BLR'S FASHION JEWELRY ITEMS TOTALING $50.00 OR MORE!